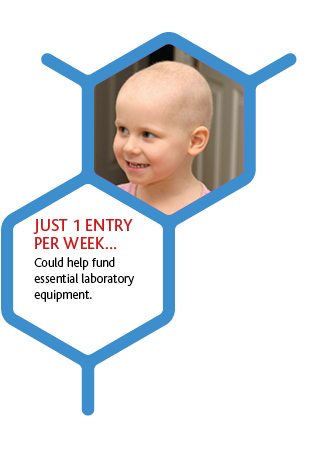 Help me to save young lives by supporting my brand new lottery for Children with Cancer UK. Every week, you could win £1,000 or one of the other 99 weekly cash prizes. By playing every week, you’ll automatically be entered, one entry for each weekly lottery ticket, into our two Super Draws each year, for the chance to win up to £25,000 or one of the many other wonderful prizes. My lottery is a brilliant way to support our life-saving work while giving you the opportunity to win fantastic cash prizes. 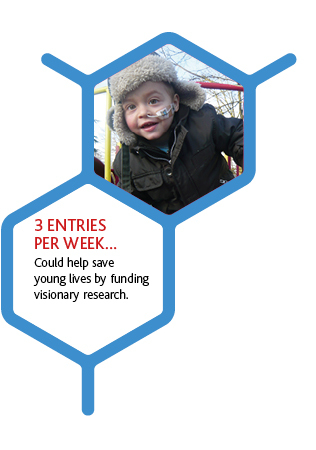 £1 a week entry will help to save lives; you could double your chances to win for £2. Enter online now by Direct Debit to ensure that you never miss a draw. Cancer is the leading cause of death beyond infancy in our children; it can also seriously impact on the long-term health and welfare of those who survive. 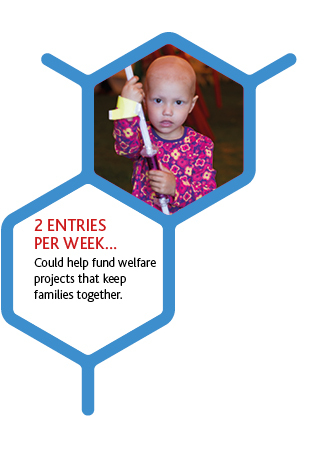 Children with Cancer UK receives no government funding so every weekly lottery entry will make a difference - funding essential life-saving research and welfare projects to help youngsters tragically struck down by cancer.